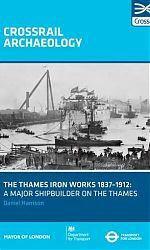 The Thames Iron Works and Shipbuilding Company, one of the great private enterprises of the Victorian age, launched some of the most famous warships of the time from its slipways at the mouth of the River Lea. A pioneer of shipbuilding in iron, the yard’s expertise was also deployed in ground-breaking civil engineering projects using iron structures. Several important components of the yard were investigated at a Crossrail site on the Limmo peninsula, including engineering workshops, a furnace, a mast house and mould loft building, and a slipway. 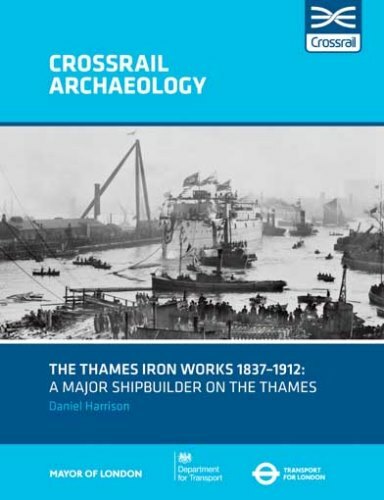 An account of the history of the company by Daniel Harrison places it in the wider context of London’s 19th-century shipbuilding industry. To purchase this book, please visit the MOLA website here.